Zee Anmol is an Indian free-to-air tv channel. It launched by Zee Network on 1 September, 2013, This channel added by DD Direct Plus DTH. This channel has won e-auction of Doordarshan. 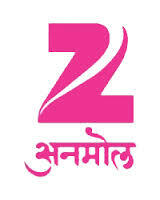 Zee Anmol will re-run programs of Zee TV. It will be same as Star Utsav or Zee Smile. Official source says this would be a free to air channel on Ku-Band and also on C-Band.